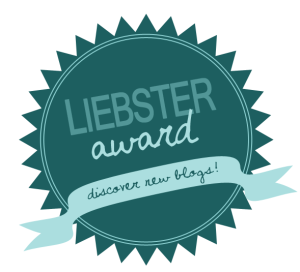 I've been nominated for a Liebster Award by Heather at That Film Girl. Thank you very much to Heather and go check out That Film Girl if you are not already familiar with the site. I've heard a rumour that I am literally the last blogger on the planet to receive this award, but I'm still going to nominate the following to have a go at it, in case they wish to. The catch is, I'm not going to tell them, so hopefully one day one of them may stumble across this post and if they haven't already had this award 17 times already, they might keep passing it along! 1. What movie is responsible for making you a film buff? Fight Club. I loved films before, but this fused my love of movies with my emerging interests in politics and sociology. 2. What's your favourite current TV show? Probably The Walking Dead. I feel like it's been getting better and better recently. 3. What's your favourite TV show that has ended? 4. The last (new) good movie you saw? Pixar's Inside Out (for a second time). Absolutely love it. 5. If you could live in any fictional land/country/universe, where would you pick? Hobbiton. Seems like they have everything sorted there. 6. Is there any actor/actress/directors that you'll see their movies, no matter what? David Fincher. He used to be my favourite director, but he's gotten far less interesting in recent years. I hope he gets back to making films like Seven, Fight Club and Panic Room. 7. What's your favourite animated film? Probably Toy Story or Inside Out. I was never a big Disney fan, but Pixar's films are brilliant. 8. Where's your favourite place to watch movies/TV? The Cannes Film Festival. Big screens, great audio and with a lot of people who all love film! 9. What's your favourite thing to snack on during a movie? Nothing. I wish no one ate at the movies. I do love Haribo cola bottles though. 10. How many movies do you own? Shitloads but I try not to buy them anymore, as I very rarely get a chance to re-watch anything anymore. I started this blog because I just realised that no one wants to talk about movies enough with me. Having a blog meant I could write about movies as much as I wanted and get it all off my chest. I also want to turn writing about movies into a career and am still desperately clinging to that dream! 1. I was in a plane crash on the Thai island of Ko Samui in 2009. 2. I was featured on an episode of BBC3 TV show Freaky Eaters for being 'addicted to meat'. 3. 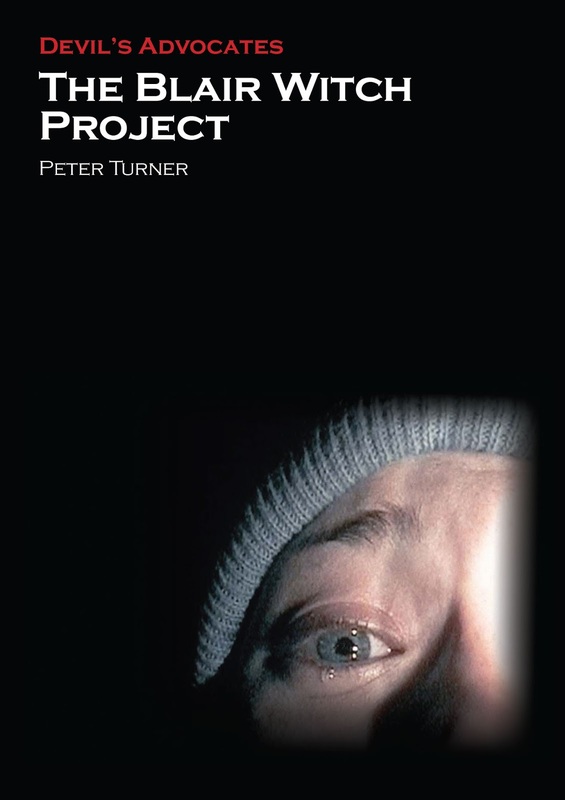 I have written a book on The Blair Witch Project which you can buy here. 4. I'm about 6 months away from finishing my PhD in Film Studies. 5. I teach Film and Media for a living. 6. I have a dog called Buddy, who is my best buddy in the world. 7. I am in love with Costa Rica, after spending my honeymoon there, and would love to live there one day. 8. I've been lucky enough to go to the Cannes Film Festival twice for Tastic Film. 9. I lived in Australia for 7 years in the 90s. 10. I used to play ice hockey when I was a kid. 11. I'm trying to run 40 half marathons before I'm 40. I'll have done 14 by the end of this year, so I'll have 26 more to do in 6 years. 1. If you could work on a film set, what would be your ideal role? 2. What is the best ending to a film ever? 3. If you could have one actor or actresses' career, whose would it be? 4. If you could be any film character, who would it be? 5. What is the ideal length for a film to be? 6. Are there particular things in films that make you cry? 7. Who is your favourite director? 8. What is your favourite film not in the English language? 9. What is your favourite film blog? 10. If there was one film you could destroy forevermore, what would it be? 11. Can a film change your life? This is too cool for words. I was just checking out the trailer for one on my favourite films of Cannes 2014, when my jaw dropped to discover that I had been quoted in the trailer. I wish I could say that it was because of some of my dazzling wordplay, but it's actually because I managed to put two nice words together about the film. 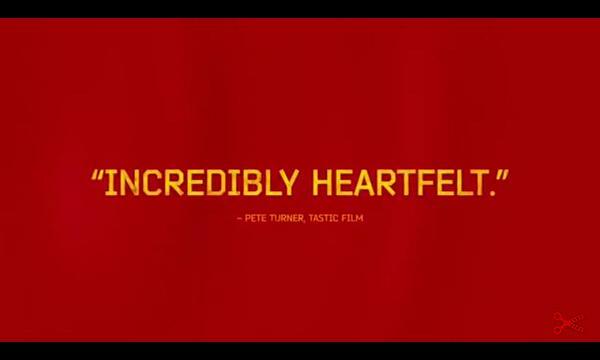 My review of the ice hockey documentary Red Army is at Tastic Film here. I absolutely loved this film and it is a great honour to be mentioned in the trailer. It is not just a film about ice hockey either. It's a film about Russia, America, capitalism, communism, and the past, the present and the future of Russia. But most of all, it does have some of the most beautiful ice hockey playing you will ever see. Find it and watch it!